If you want to add a link to us from your site, it's easy Click here & we'll show you how! or if you want to suggest a link - E-mail me . Weather forecast - Just enter a local town name near the circuit. 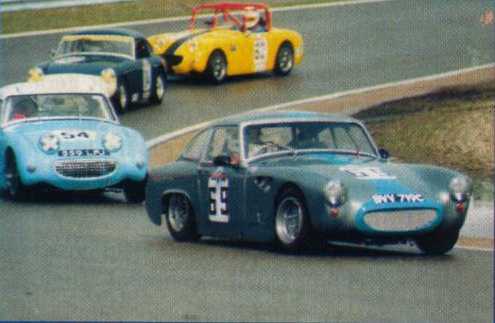 Mr Jones' American Midget/Frogeye racers. TGR Andrew Parrott's Race Midget Site. Laptop Racing Lorraine Clark's race Midget page. Kelly Mercer 's race Midget page. Pollard Racing Chris Pollard's race Midget page. Team Thicko There are some racing Midgets in here somewhere. Just keep looking! Nürburgring (Germany) The official site. Be prepared to fall asleep ! Nürburgring (Germany)another great "fan" site. try clicking on the map in various places ! Speedwell Engineering A site/firm claiming & looking like the "real" successor to the original SPEEDWELL firm. Bugii's A popular Frogeye site. Gary Kings Sprite site A nice site about road Sprites. Peter May Engineering - EVERYTHING you can possibly need for a racing Spridget - I seriously recommend this guy ! Rae Davis Racing - Rae Davis MG Midget race support service. Slark Race Engineering - Steve Chapman's Engine Supplier. Minilite - The wheels to have ! Minimania (US) - Mini & Spridget Spares in the States. UK Motorsport - The ULTIMATE links site for UK motorsport. If it's not in here it's not on the net ! Lawnmowers ?? - The cheapest form of motorsport in the world ! - looks like fun ! FIA - The controlling body. Racing Slick links - A huge list of great race sites. Safety Devices - Roll cages etc. The Roll Centre - Roll cages, Lap Timers & Exhausts etc. Grand Prix Racewear - Racing Clothing, Helmets etc. Merlin Motorsport - Anything to do with racing. RG Racewear - Race suit manufacturer. SPA - Not just Fire Extinguishers ! Lifeline - Fire Extinguishers. I rate these guys !  Quaife - Limited Slip Diffs for Spridgets + lots of other geary thingys. Women & racing - they are out there ! The Midget & Sprite Club Covers mostly the UK. 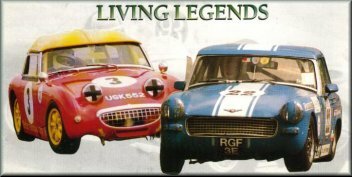 K & R Replicas Model cars in kit form or pre-built. Great range ! Arkleys in North America These are actually Spridgets with fibreglass panels on them !